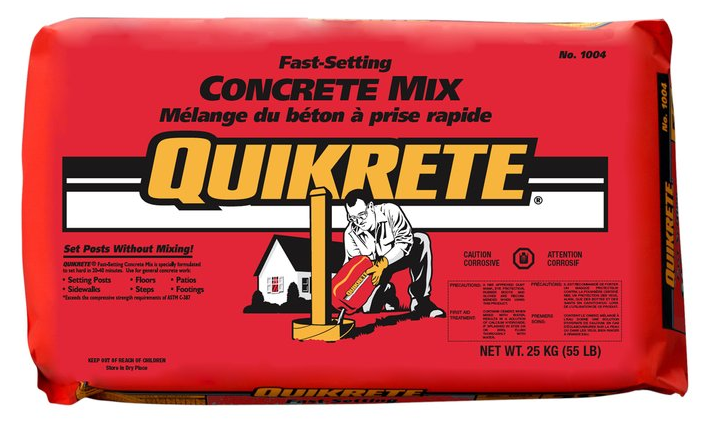 Use Quikrete Fast-Setting Concrete to Set Fence Posts with No Mixing - Who Said Nothing in Life is Free? Quikrete Fast-Setting Concrete is great for setting fence posts because it doesn’t require any mixing ahead of time. You simply pour Quikrete into the hole dry, and add water. 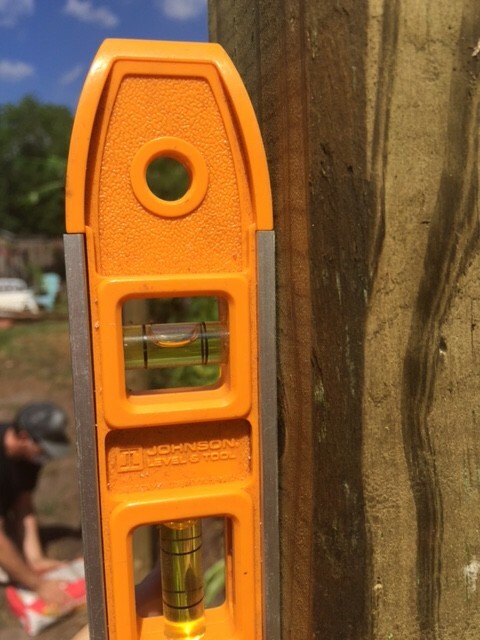 You can watch a short video HERE for helpful tips on setting fence posts using Quikrete. Step 1 – Dig post hole so diameter of the hole is 3 times the width of the post (i.e., the hole for a 4” wood post should be about 12 inches wide). 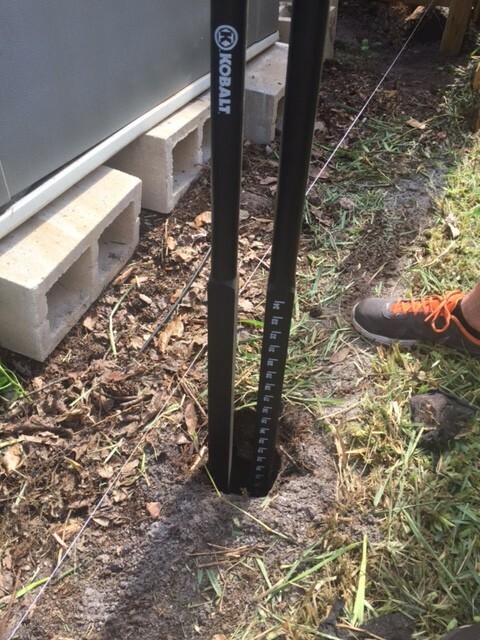 The depth of the hole should be 1/3-1/2 the post height above ground (i.e., a 6-foot tall fence would require a hole depth of at least 2 feet). Step 2 – Add about 6 inches of QUIKRETE All-Purpose Gravel into the bottom of the hole. Then compact and level the gravel using a post or 2×4. Step 3 – Set the post into the hole and attach 2×4 braces to adjacent sides of the post. Step 4 – Use a level to position the post perfectly vertical. Step 5 – Fill the hole with QUIKRETE Fast-Setting Concrete up to 3 to 4 inches below ground level. 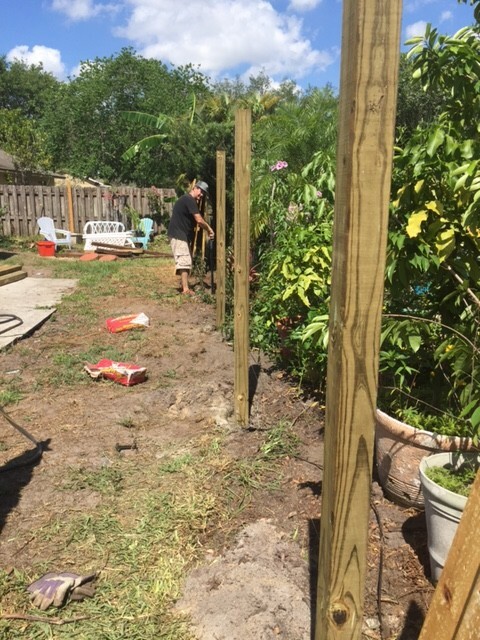 Step 7 – Wait about 4 hours to begin constructing your fence or applying heavy weight to your post. I loved the concrete calculator on their website that helps you figure out how many bags of concrete you will need for your particular project. 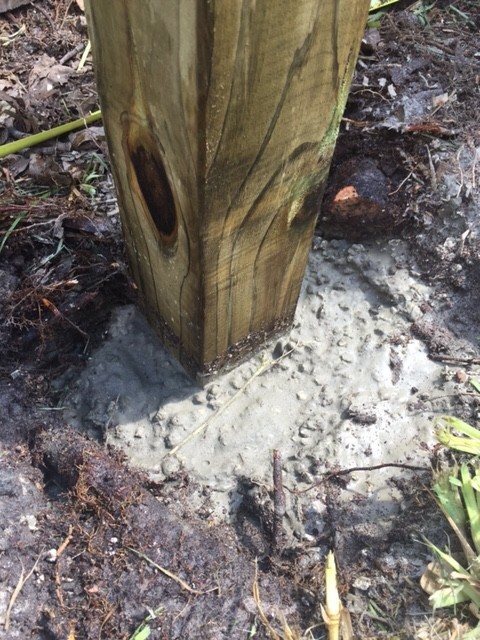 I also loved how sturdy the posts were by 4 hours. We started in the morning and then took a break around lunch time to let the posts set. It feels great to have a back fence that isn’t completely falling down. 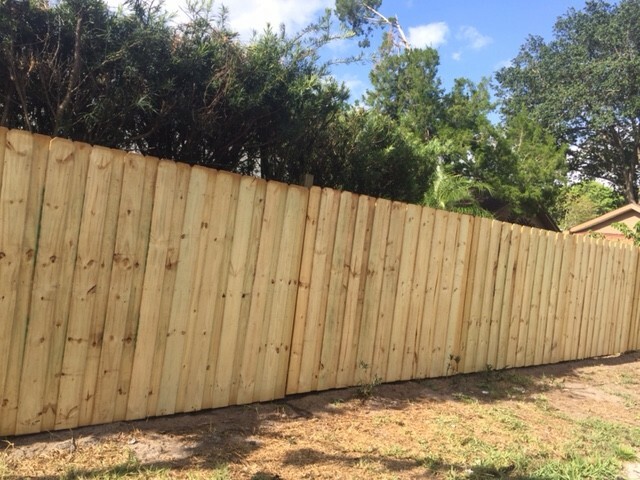 Here is a final pic of my fence (now I just need to add new sod)….